Scholarships are available for high-achieving students with a passion for entrepreneurship. This scholarship was established by Mr. and Mrs. Timothy S. Duncan for engineering students to expose themselves to business concepts and to encourage them to think more entrepreneurial.  Be enrolled at Mississippi State University in the Bagley College of Engineering. Maintain a minimum 3.0 grade point average. Be enrolled in E-Cert Program/Minoring in Business/Actively involved with the Entrepreneurship Center. Must be classified as a Junior, Senior or Graduate Student. The University Scholarship Committee administers the scholarship program at Mississippi State University. Applicants will be recommended by the Hatcher Chair for Engineering Entrepreneurship and reviewed by the Bagley College of Engineering Scholarship Committee, which will in turn make a recommendation to the University Scholarship Committee. Any scholarships will be awarded on a year to year basis, for a maximum of $2,500 per year. Students who are recipients one year are eligible for consideration in any other year; however, they must again comply with the selection criteria. Schedule a meeting with our experienced team to help you think about your business. MSU's CEO helps students, faculty, and community members start and grow successful companies. We help entrepreneurs link with our more than 100,000 living alumni, learn tactical business skills, and launch tangible companies that will help define tomorrow's markets. Through this mission we facilitate student creation of their own dream job, strengthening a culture of entrepreneurship among the Bulldog family. Copyright � 2018 Center for Entrepreneurship and Outreach. All Rights Reserved.